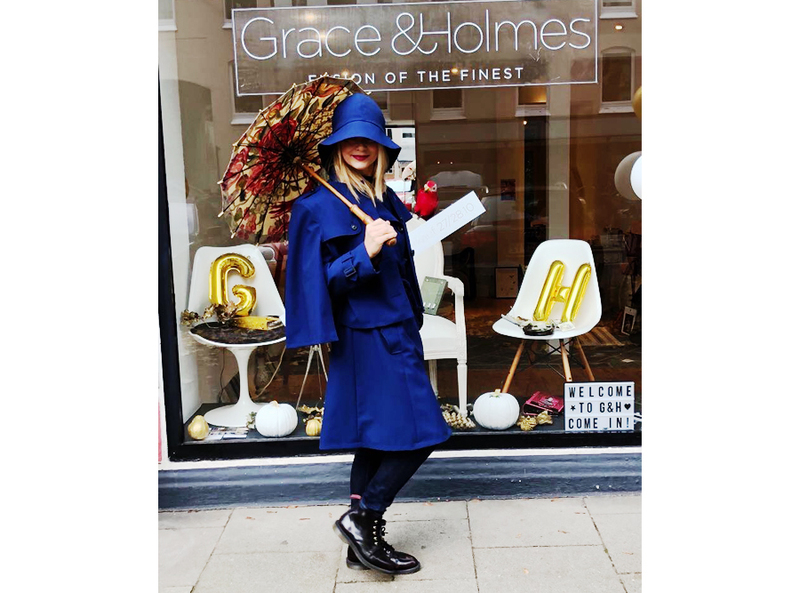 Product information "Grace & Holmes Rain Hat"
functionality to combat rainy days with elegance! 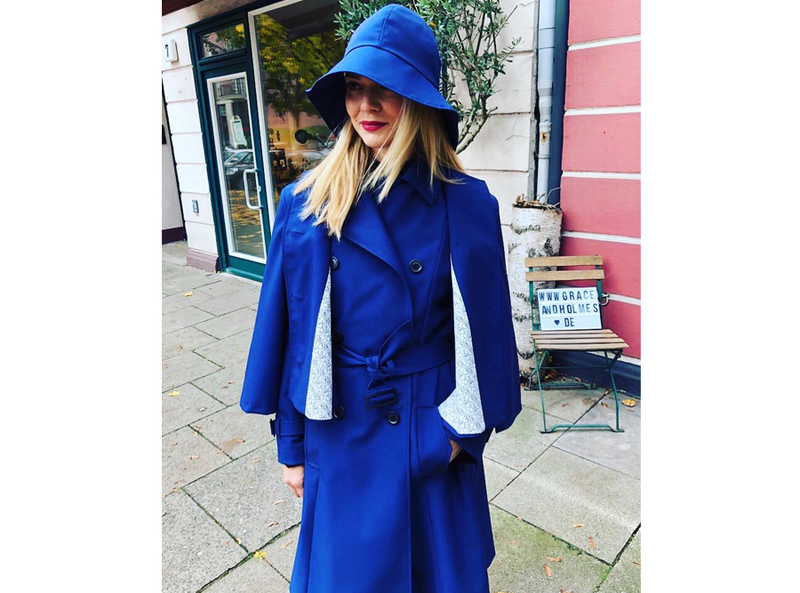 A choice of waterproof materials, colours and linings. 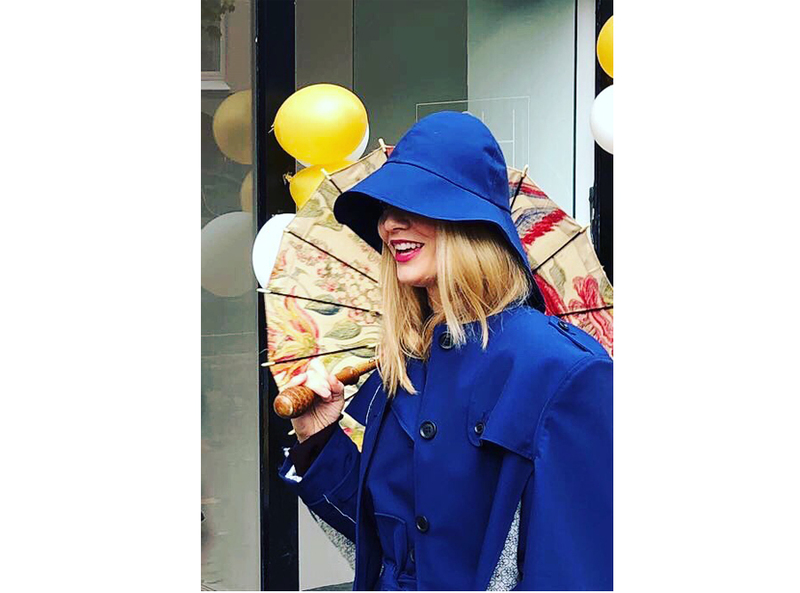 These rain hats are one-offs designed by and for you and are 100% water proof. - Custom made for each client. - They can be made three colours, stone grey, emporer blue or olive green. Plus many other colours if desired. - Lined in cotton-sateen with G&H logo as well as a variety of other fabrics if desired. 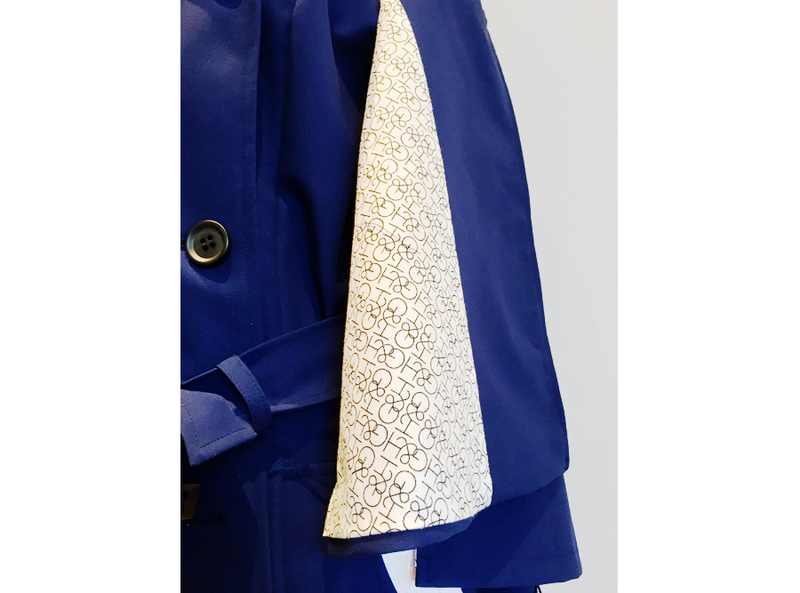 - Outer shell made of water proof breathable cotton made in England and Switzerland. A nano option is also available. - Features an elongated brim front and back to protect against windy and rainy weather. 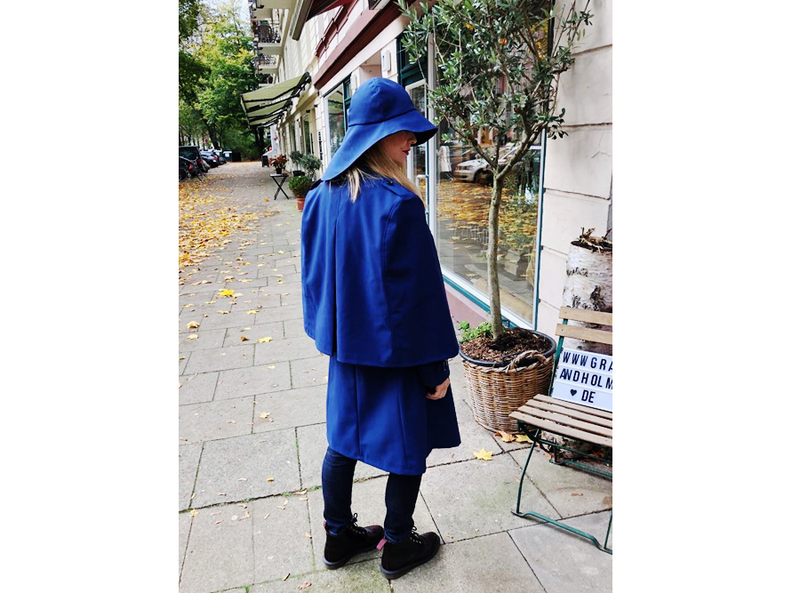 - Matching coat and cape available. - Measurements can be taken in the comfort of your own home or by our concierge service. - Delivery time approx. 6 weeks. 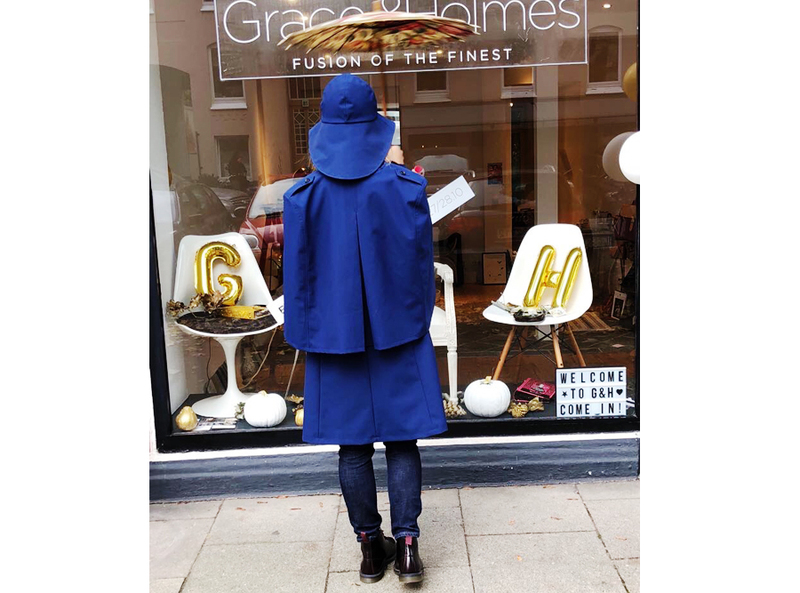 Related links to "Grace & Holmes Rain Hat"
Customer evaluation for "Grace & Holmes Rain Hat"